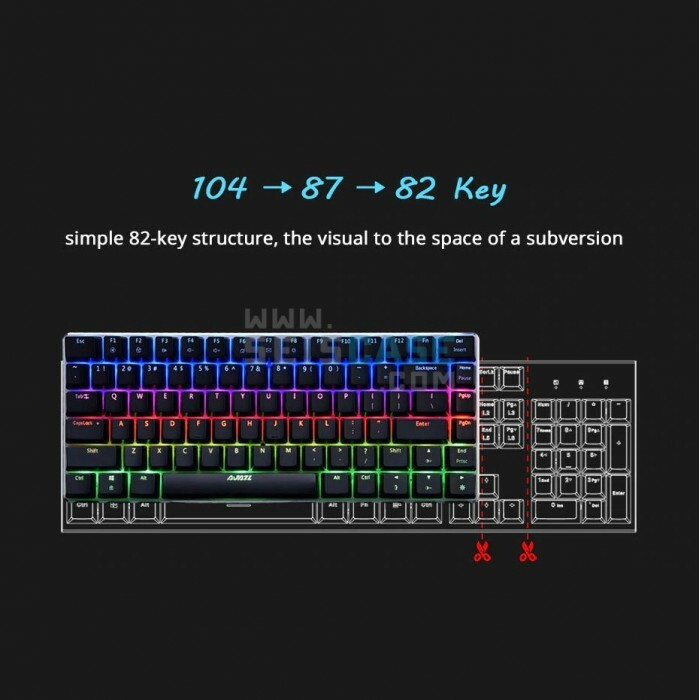 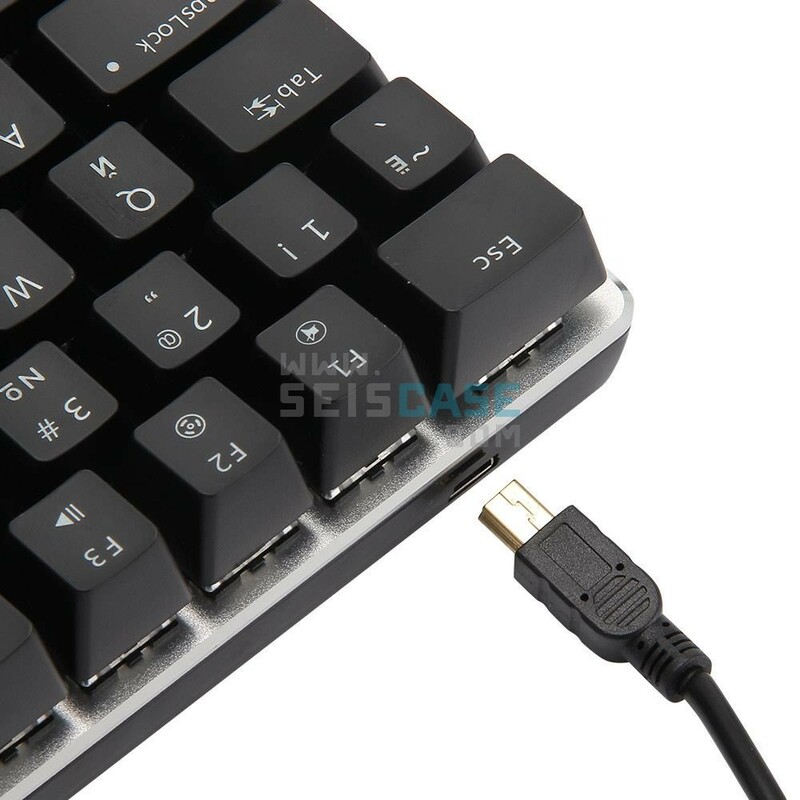 Portable 82 Keys Layout: Unique layout design, on the premise of ensuring complete functionality, to minimize the size to 12.2 x 4.72 inch, saving your desktop space. Plus pluggable USB cable, it is convenient to carry. 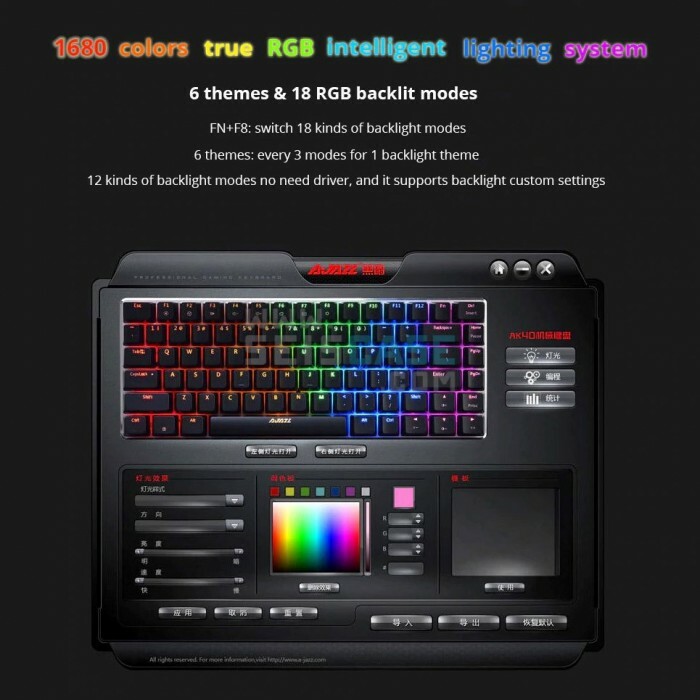 RGB LED Backlight: Default 18 backlit modes and 1 custom mode, FN+F8 to switch. 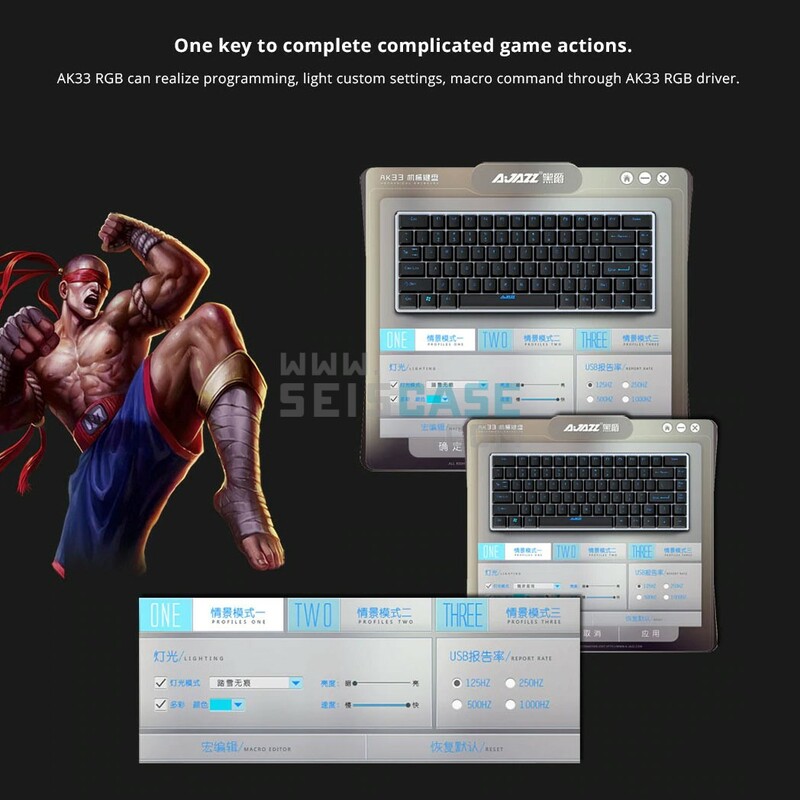 Choose the color of each key from a spectrum of over 16.8 million colors freely via the software. 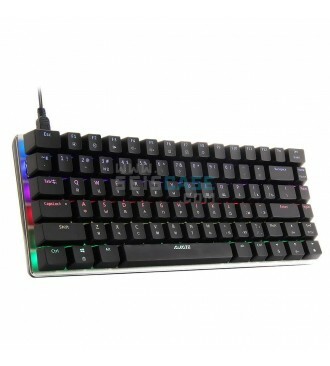 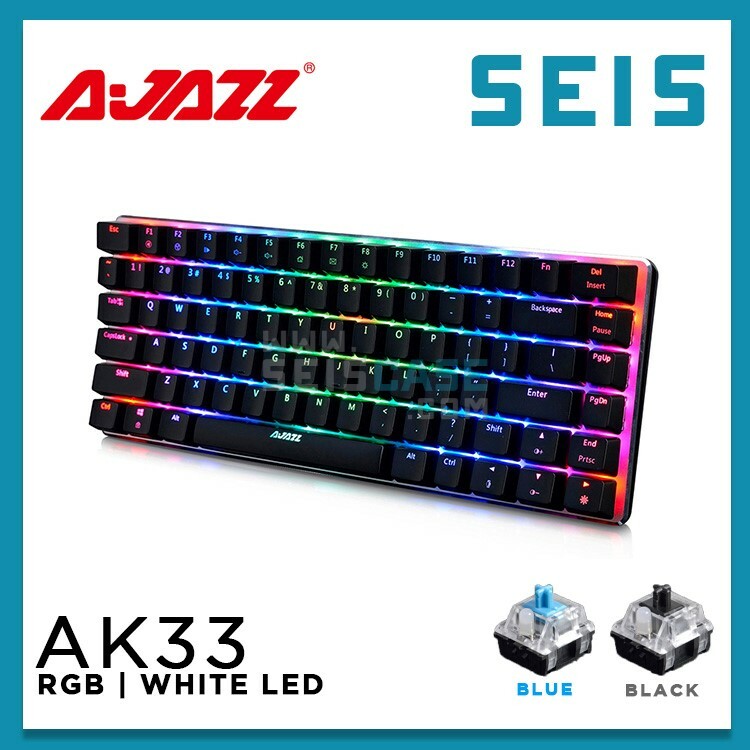 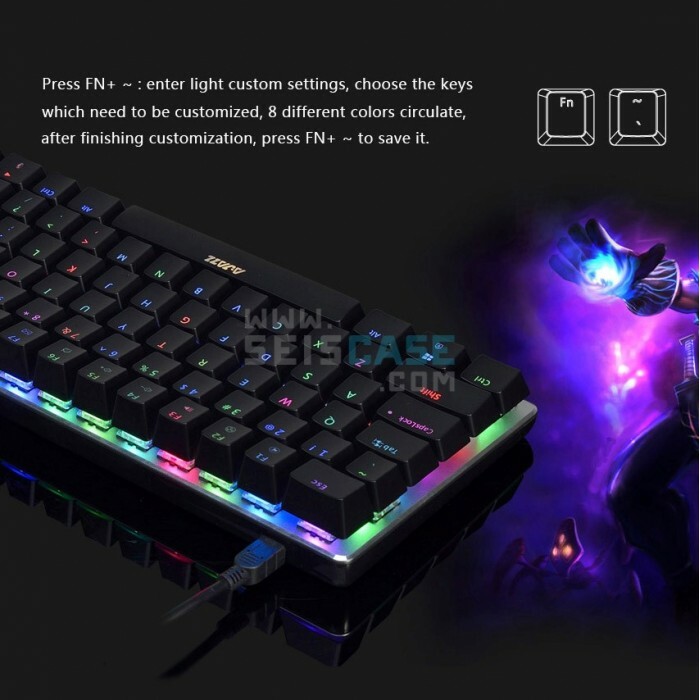 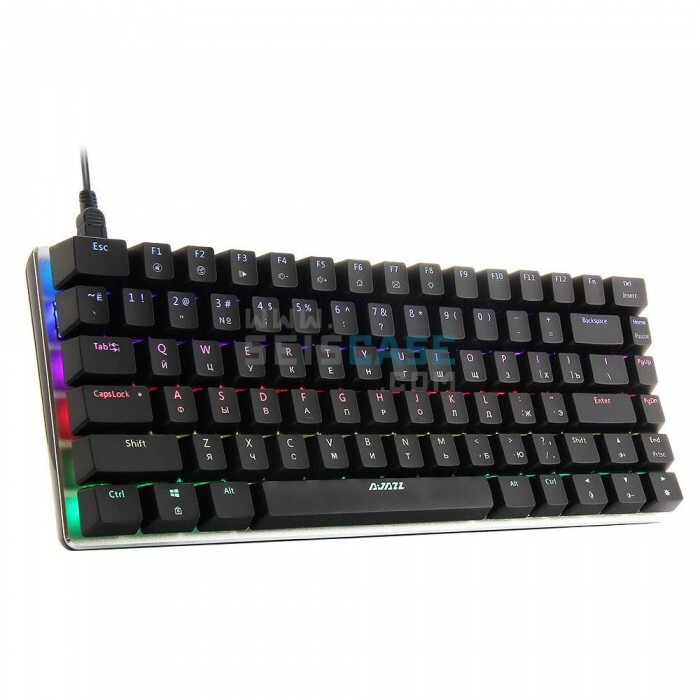 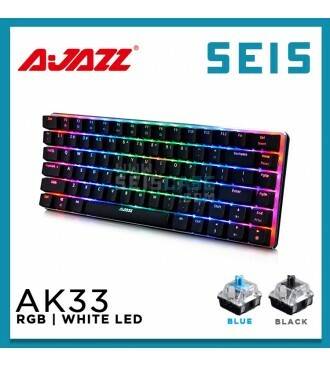 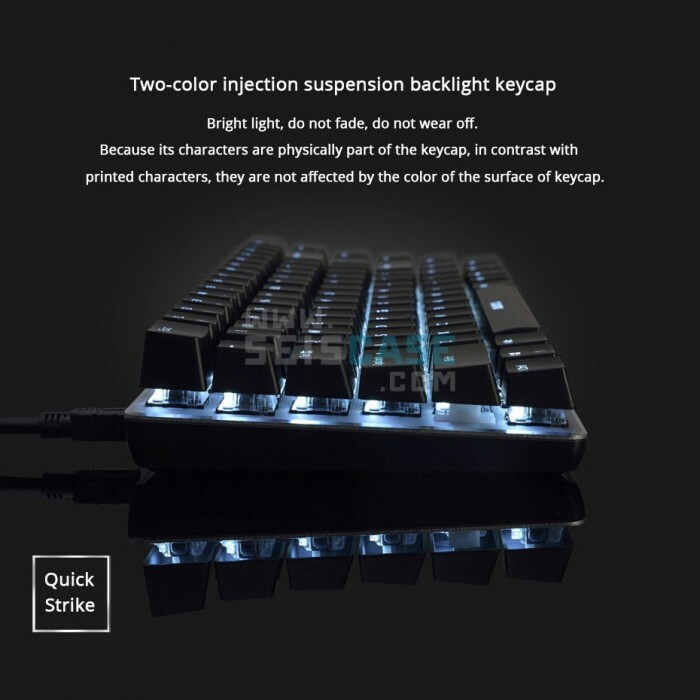 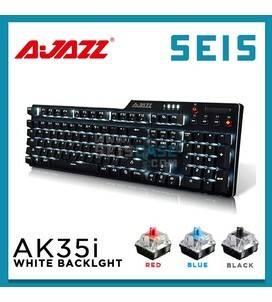 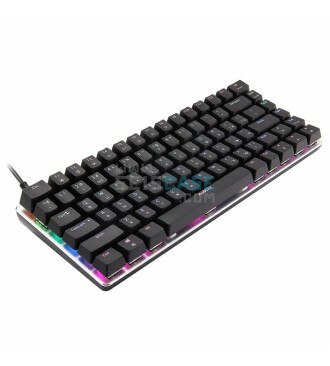 White LED Backlight: Single White Backlit Mechanical Keyboard comes with Double-shot Injection Molded Keycaps, offering the best touch feeling, clear bright backlight and lettering on the keycaps won't be scraped off. 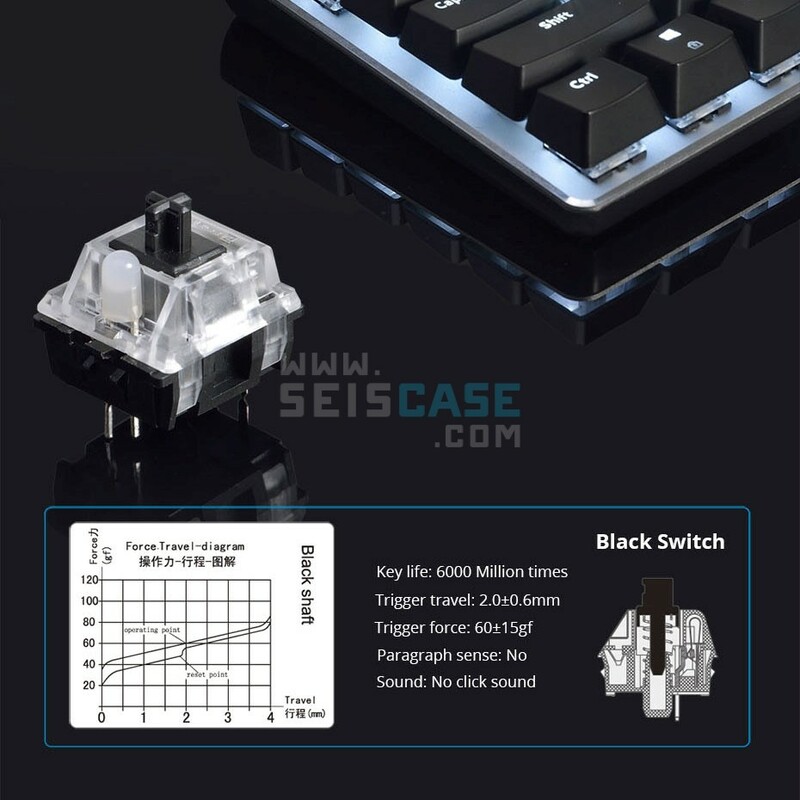 Black Switches: Special Modified Black Switches, reduce 20g trigger pressure for the fastest response, life span up to 60 million. 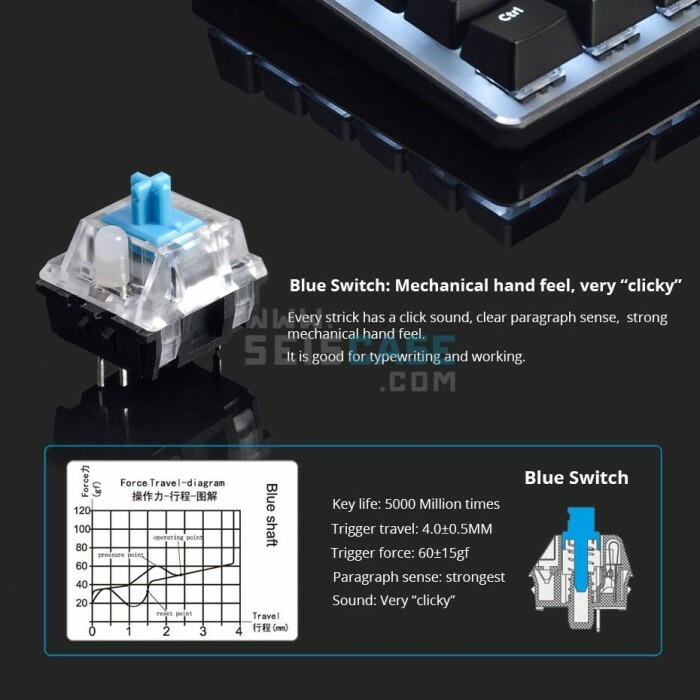 Blue Switches: Special Modified Blue Switches offer the same experience as Cherry MX Blue and life span reaches up to 50 million. 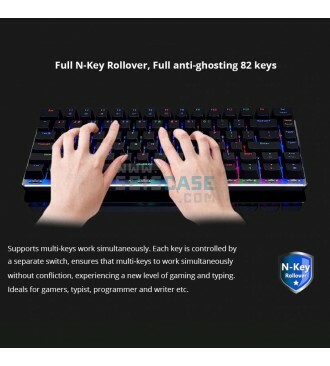 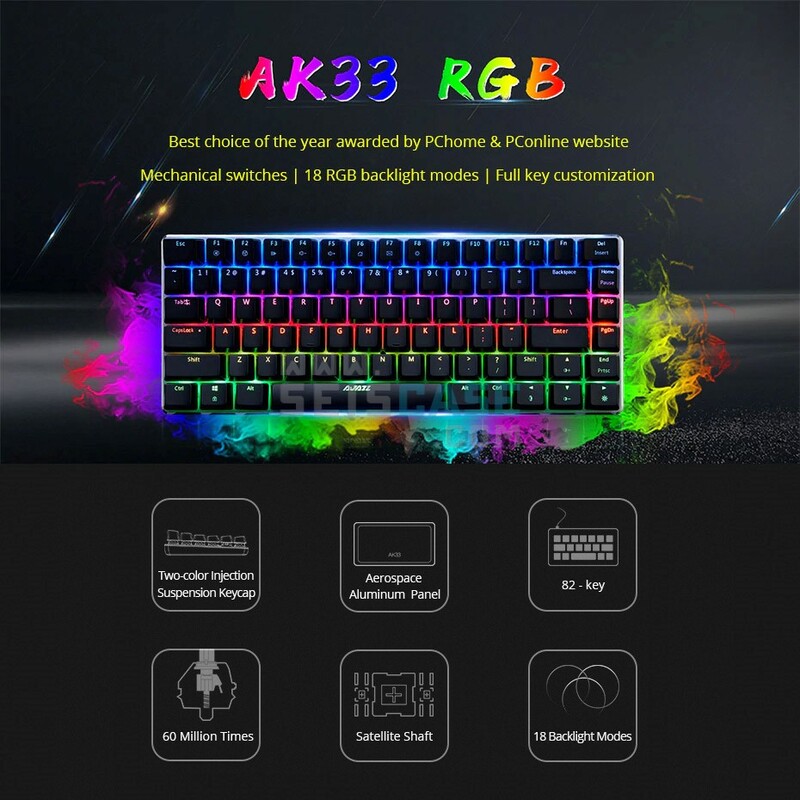 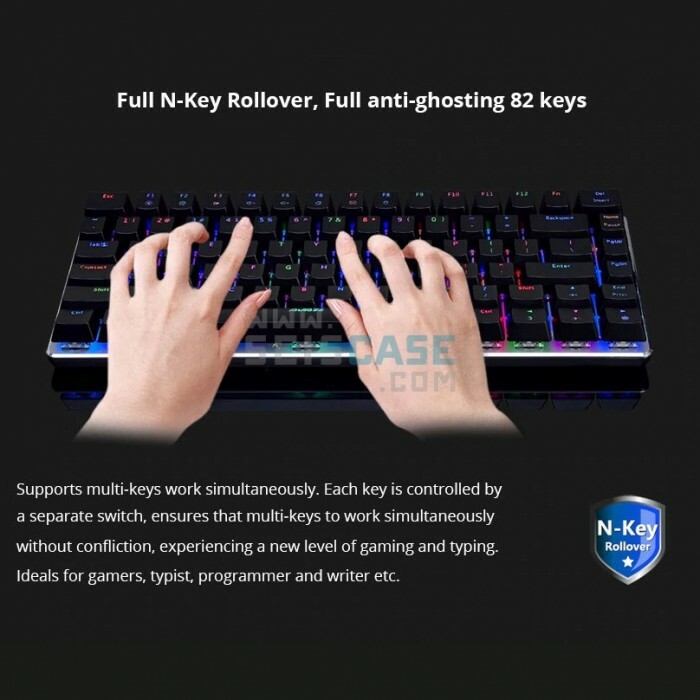 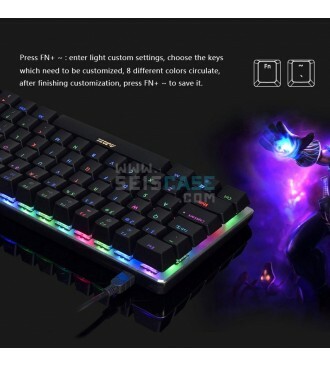 Professional Gaming Keyboard: 82 keys N-key rollover. Dedicated software, supports macro editing, USB report rate 125/250/500/1000Hz adjustment. 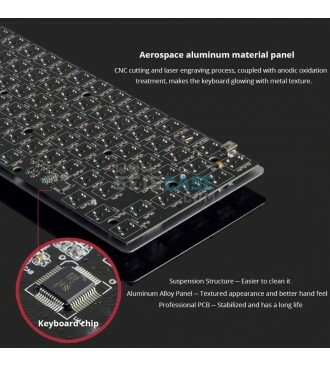 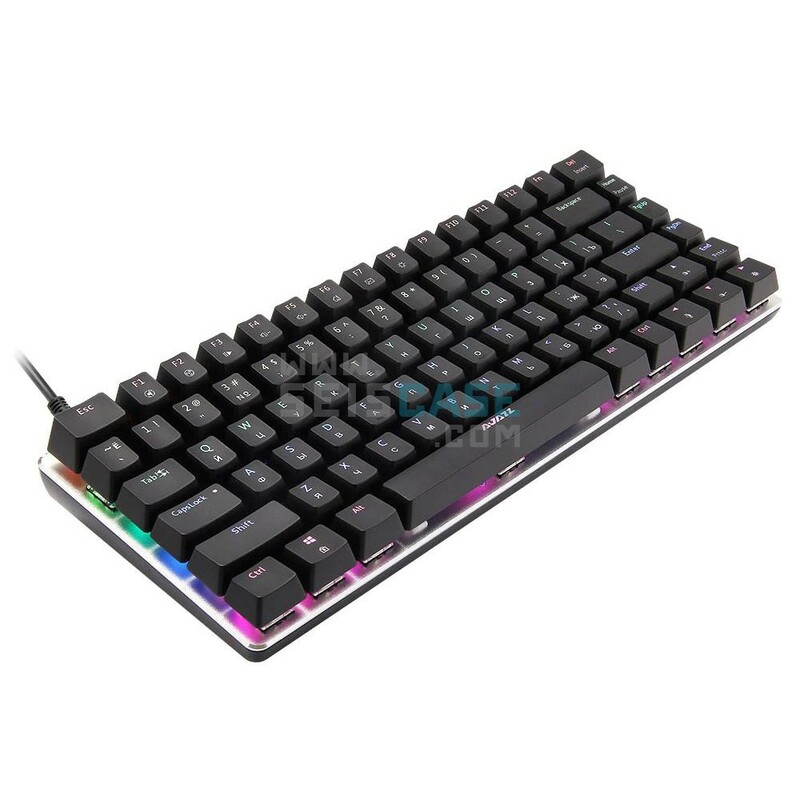 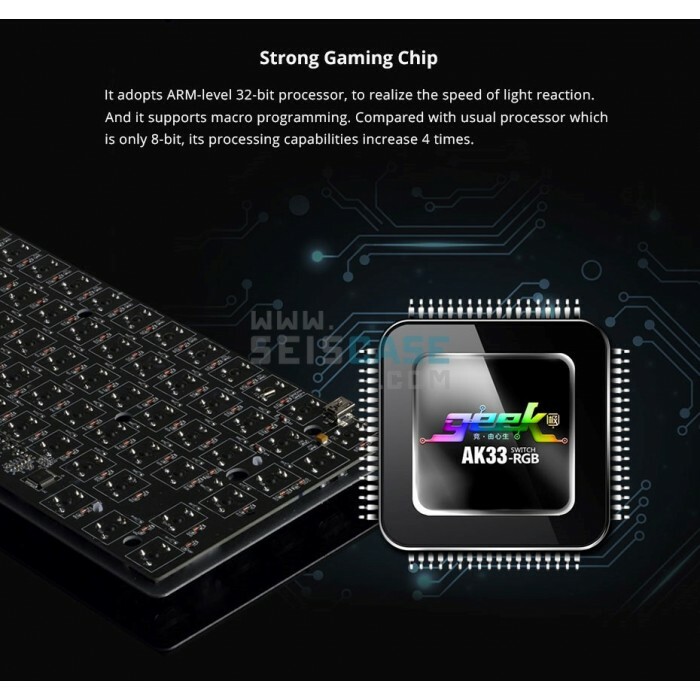 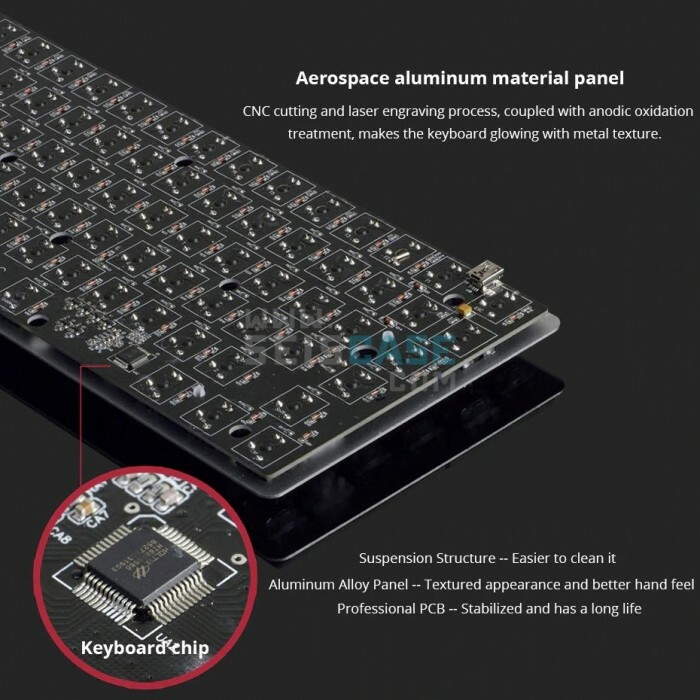 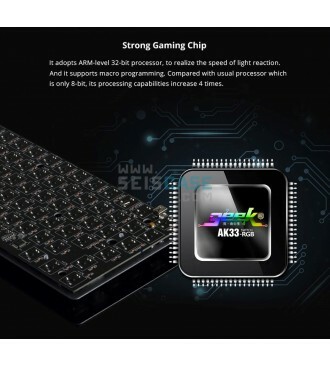 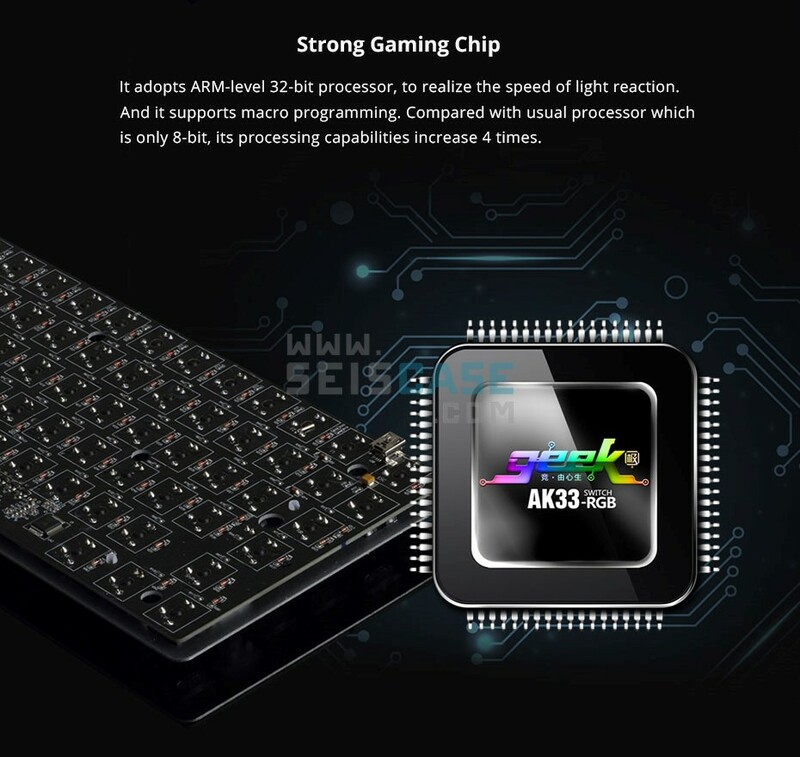 Aluminum and ABS construction, custom mechanical switches, professional control chip, providing the highest quality assurance with great durability and stable performance. 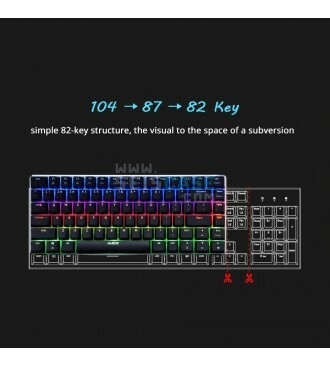 Portable 82 Keys Layout: Unique layout design, on the premise of ensuring complete functionality, to minimize the size to 12.2 x 4.72 inch, saving your desktop space. 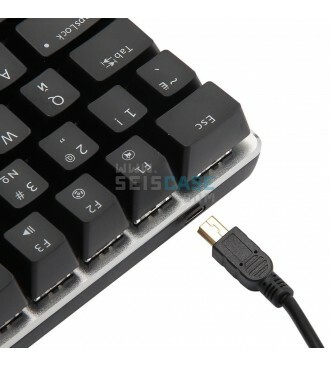 Plus pluggable USB cable, it is convenient to carry. 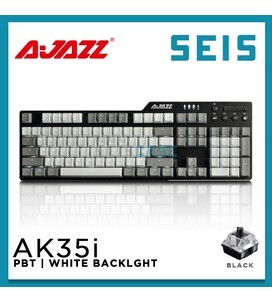 Whether you use it in work, games or daily use, it will perform perfectly. 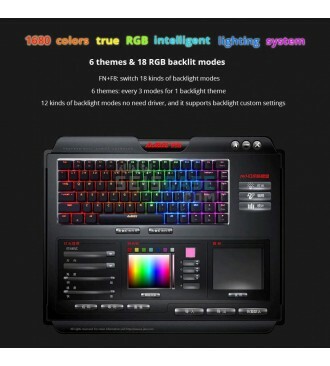 RGB LED Backlight: Default 18 backlit modes and 1 custom mode, FN+F8 to switch. 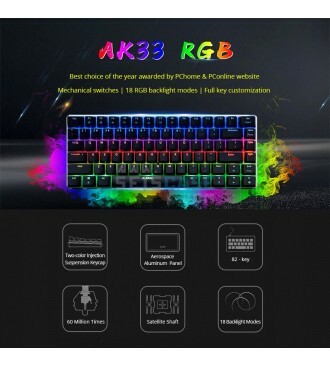 Choose the color of each key from a spectrum of over 16.8 million colors freely via the software, choose what your favorite and what works best for you, and bring you wonderful visual experience and fun. 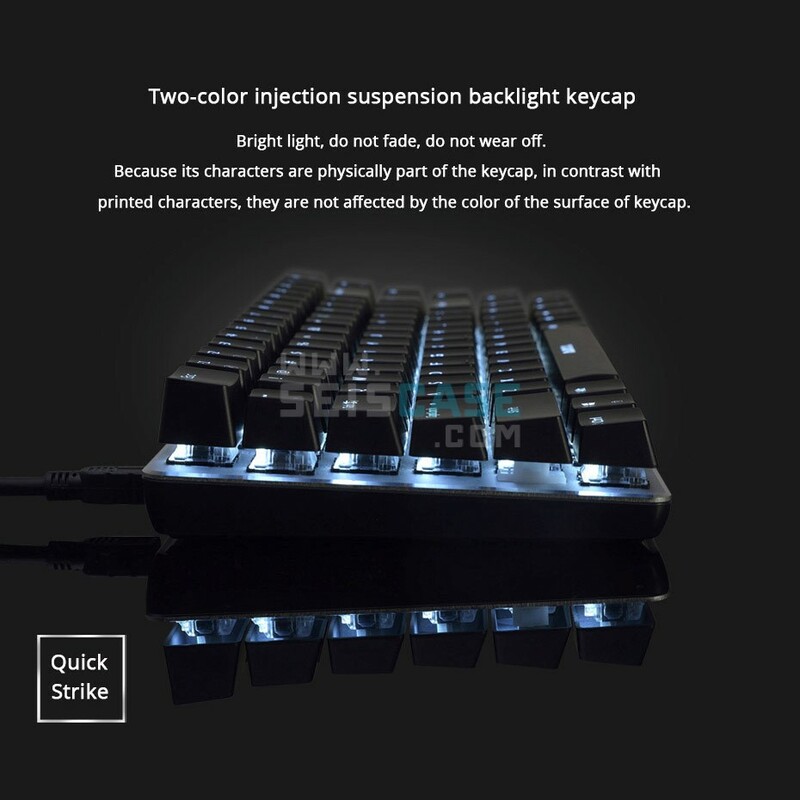 Double-shot Injection molded keycaps, offering the best touch feeling, clear bright backlight and lettering on the keycaps won't be scraped off. 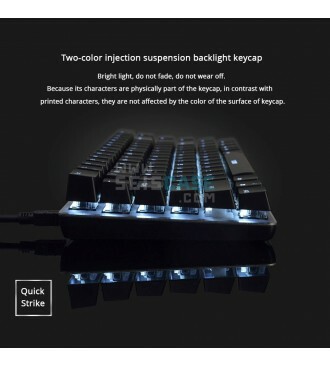 White LED Backlight: Single White Backlit Mechanical Keyboard comes with Double-shot Injection Molded Keycaps, offering the best touch feeling, clear bright backlight and lettering on the keycaps won't be scraped off, bring you pure crystal visual and using experience. 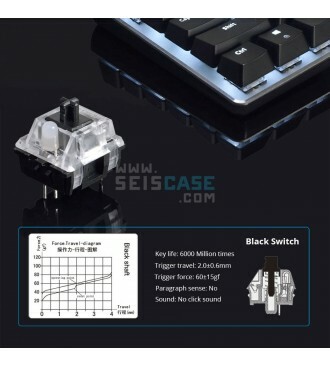 Black Switches: Special Modified Black Switches, reduce 20g trigger pressure for the fastest response, life span up to 60 million. Give you the ultimate game experience. 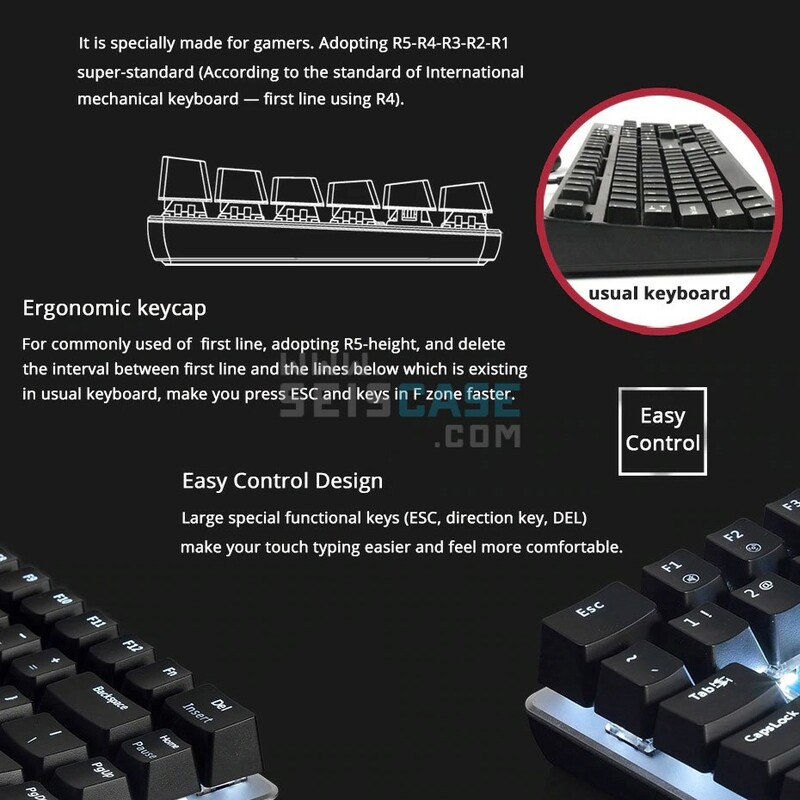 Give you the purest mechanical experience. 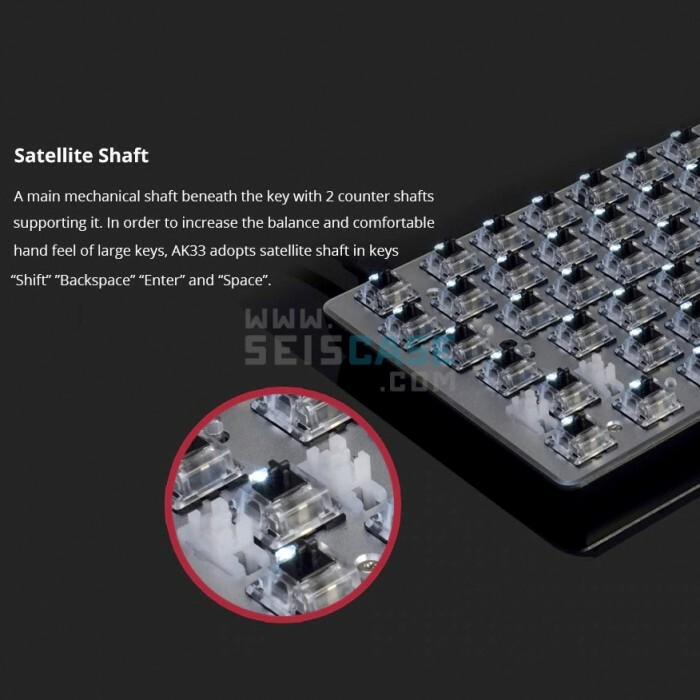 Adopting R5 ergonomic key designs in various key shape, which is different from traditional keyboards, you can click the ESC F Keys more quickly. 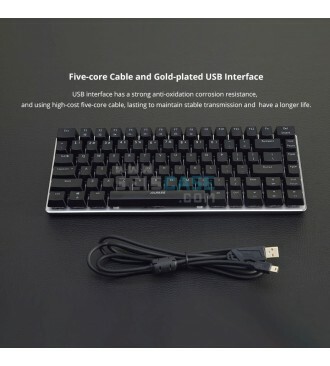 Anti-fatigue, suitable for long time use. 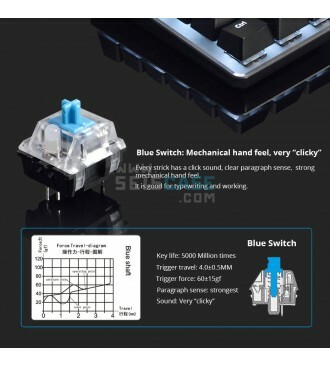 Blue Switches: Special Modified Blue Switches offer the same experience as Cherry MX Blue and life span reaches up to 50 million. 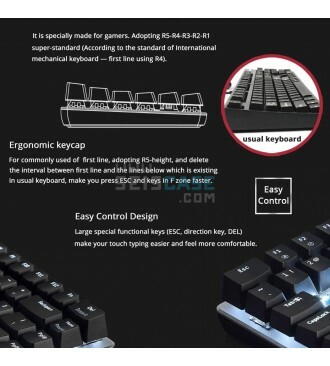 Give you the purest mechanical experience. Adopting R5 ergonomic key designs in various key shape, which is different from traditional keyboards, you can click the ESC F Keys more quickly. 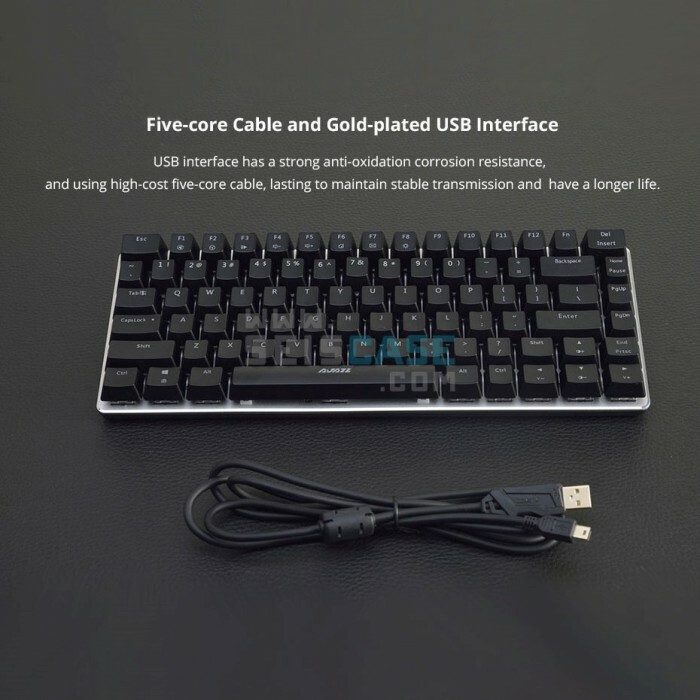 Anti-fatigue, suitable for long time use.